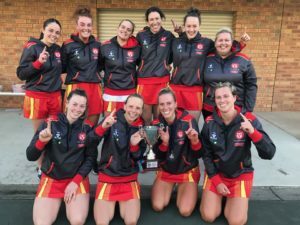 West Gippsland hosted Maryborough Castlemaine District Football Netball League and proved too strong in every grade, including the feature match in which the senior side claimed a 44-point victory. The home side made a positive start, controlling the early stages with first Todd Beck, then Michael Marotta rattling the post inside the opening five minutes before Jaxon Briggs registered the first goal of the day, 15 minutes in. 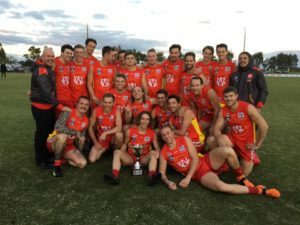 The Casey Demons-listed midfielder linked well with Beck, who had pounced on a loose ball on the edge of the centre square, shrugged off a would-be tackler and dashed inside 50 before dishing off to Briggs to coolly slot home on the run from 30 metres. Marotta and Beck then made up for their earlier misses with back-to-back goals as West Gippsland finished the quarter with a flurry to lead by 20 points at the first change. The visitors made a perfect start to the second quarter, with ruckman Jackson Bowen showcasing the sort of all-round skills that landed him last year’s MCDFNL best and fairest award, with a classy goal from open play. Set shot goals to Jason Fisher and Corey Casey either side of a long-range major from Ash Munari sent West Gippsland into the main break with a 21-point advantage. West Gippsland was back on top in the third term, with goals to Zak Vernon (two), Beck and Mark Griffin extending the lead to 34 points. The final term was littered with wasted opportunities, but goals to Marotta and Nathan Allen put the game to bed. Great hard running off half-back and a wellweighted pass from Garfield defender Sam Batson set up Marotta for his second. The Dalyston forward then turned provider, squaring the ball unselfishly for Allen to kick the final goal of the game and seal the win, 11.18 (84) to 5.10 (40). Earlier, West Gippsland’s under-18 team cruised to a 78-point win in the curtain-raiser clash. After a tight opening half, a nine-goal-to-one third term proved the catalyst for the 16.11 (107) to 4.5 (29) win. Vernon was rewarded for his industrious performance with the AFL Victoria Country Medal, while defender Jay Anderson scooped the award for MCDFNL. 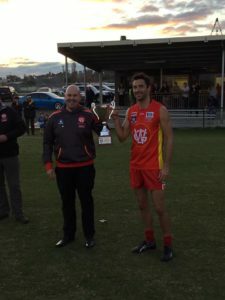 Cora Lynn pair Luke Hartley and Jay Verhagen and Garfield’s Joseph Verleg booted three goals each, while Cobras young gun Brayden Weller was awarded the medal as best-on-ground. 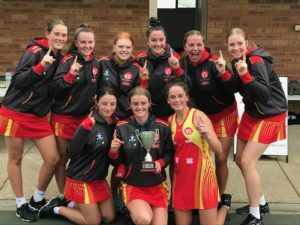 Over on the netball courts, West Gippsland proved dominant, winning the Open match 51-35 and the 17&Under match 77-20. 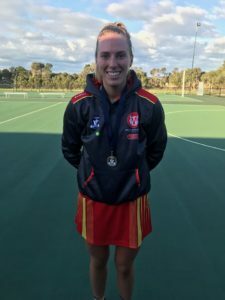 Inverloch-Kongwak defenders Kelsey Buxton and Millie Sadler were named best on court in the respective games. The senior team’s victory moved the WGFNC up to 24th place on the AFL Victoria Country rankings.